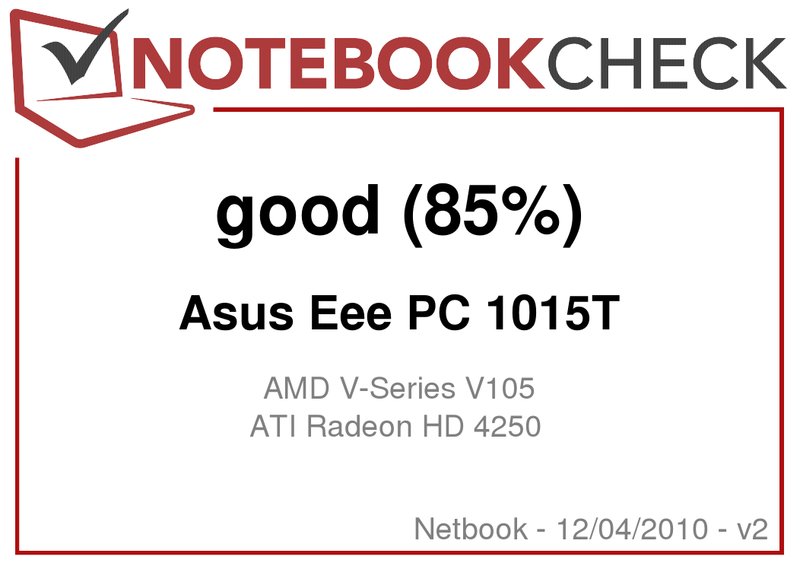 We're testing the Asus Eee 1015T based on AMD with dedicated graphics. 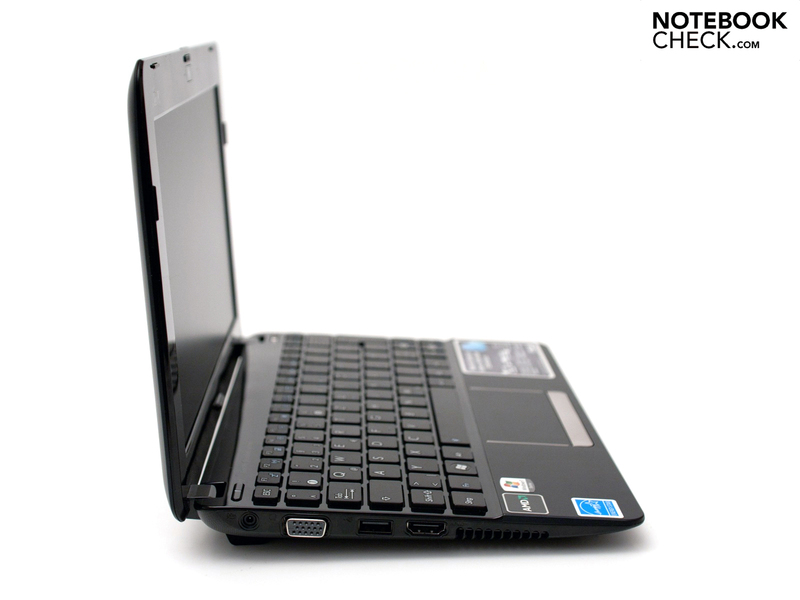 The variety of models for the Asus Eee PC 1015 (Eee PC 1015P, Eee PC 1015PEM) knows no limits. 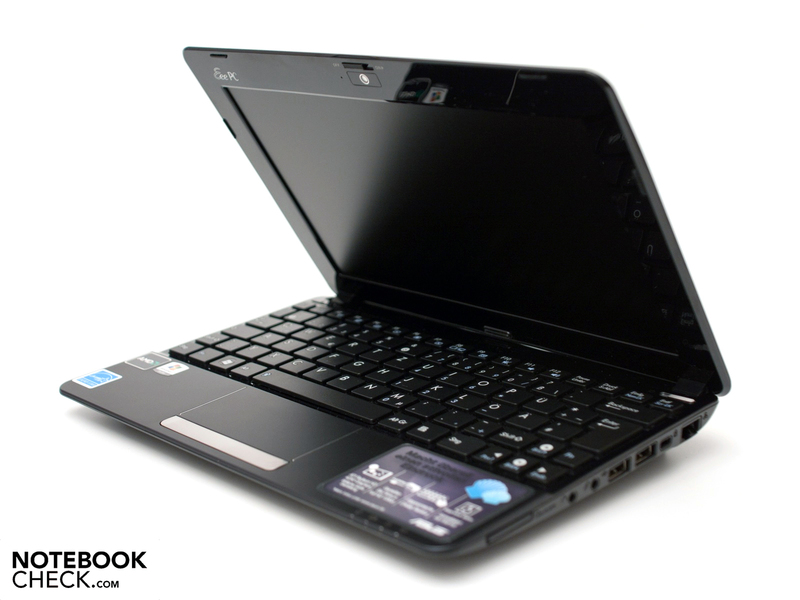 Hardware from AMD is granted access in the mobile entry-level devices with the Eee PC 1015T. 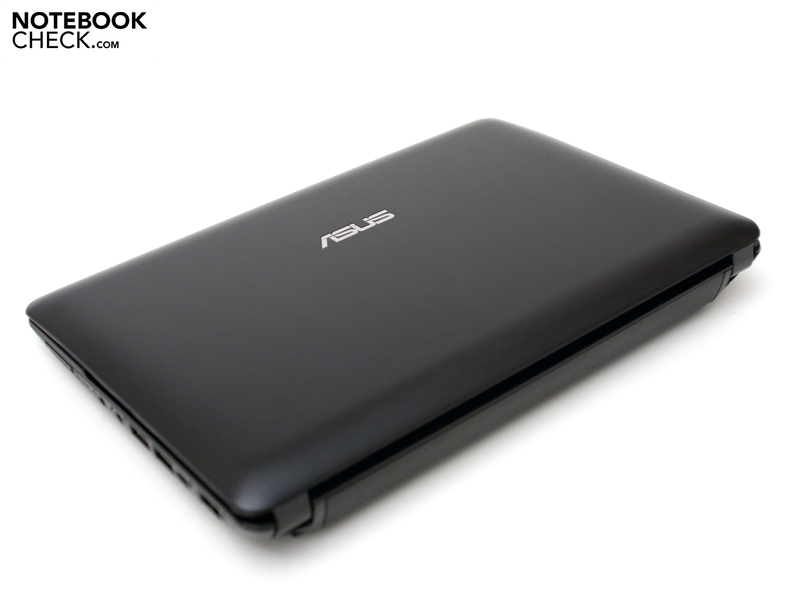 Moreover, this netbook is the first device with AMD innards and a 10 inch display (1024 x 600 pixels, matt) from Asus. The design has been maintained and a HDMI out has been added to the interfaces. You still have to live without a fast USB 3.0 port. 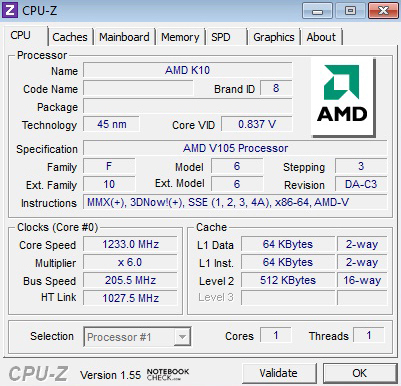 The heart is made up of the new AMD V105. 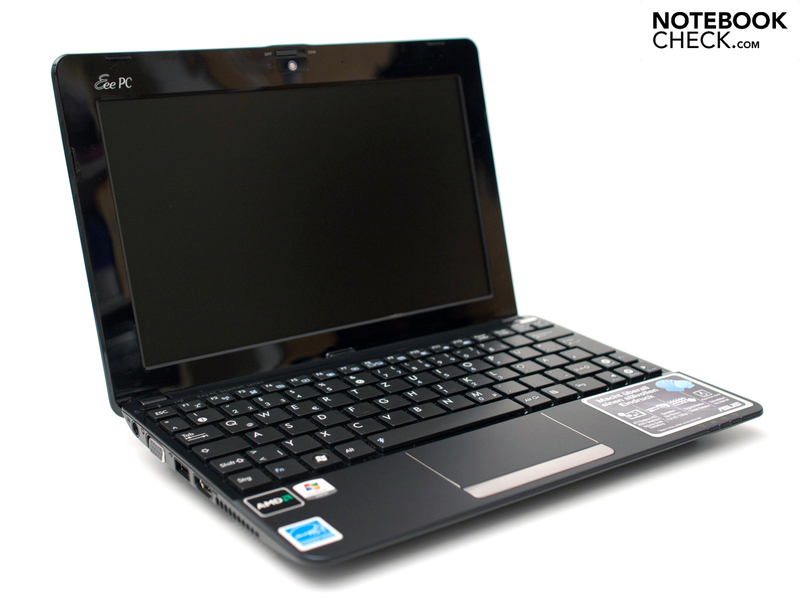 This processor for netbooks and other mobile devices has a clock rate of 1.2 GHz in a single core and is thus nominally slower than a comparable Intel Atom N455 with 1.66 GHz. Stronger and interesting: the dedicated ATI Radeon HD 4250 with a core rate of 500 MHz. This combination not only promises an increased performance but also an increased power consumption and consequently a lower battery life. A 2.5 inch hard disk with a capacity of 250 GB and a 1 GB DDR RAM belong to its further configuration. The 6 cell battery with 56 watt hours and the compact adapter have also been adopted. Asus has four different colors in two variants available for the Eee PC 1015T, which are matt (black, blue) and glossy (red, white) models. All models will be available on the German and Austrian market at the end of October. The recommended retail price is 349 euro including sales tax. Asus hasn't modified the case and the familiar seashell look has been maintained. A good job has been done with the workmanship and finish. The used plastic makes a high-end impression. Aside from a (matt) black model, there are also models available in (matt) blue, (glossy) red and (glossy) white. These colors, or rather, finishings aren't surcharge-liable. 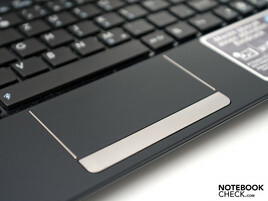 Asus hasn't used any special textures or effect coating, thus the design is very plain but nevertheless elegant. 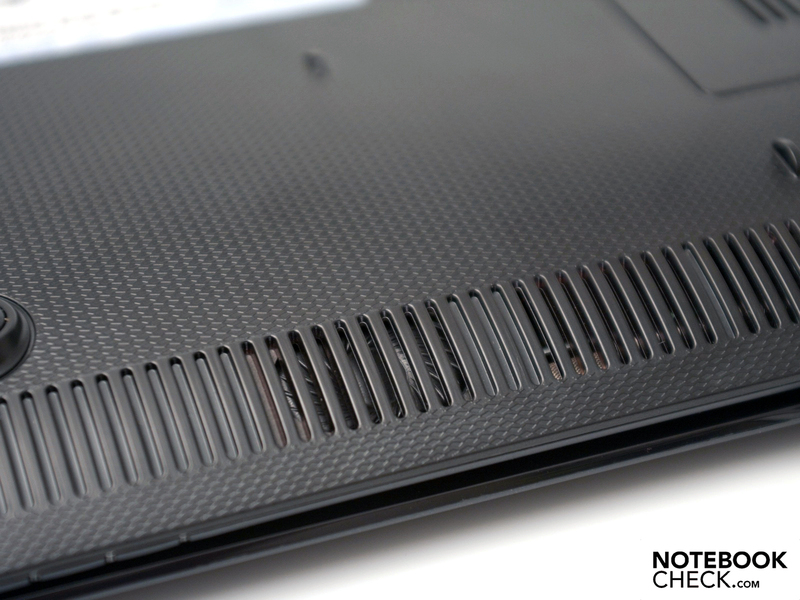 The display bezel and the area around the keyboard is a contrast to the matt exterior. They are underlined by a (black) high-gloss finish and create striking optics. A drawback of the high-gloss finish is the susceptibility for scratches, dust and fingerprints that can't be avoided. A model without glossy lacquer would prevent this and would likely be a welcome alternative. The case stability is convincing. The case copes with stronger pressure without difficulties. The display bezel is as stiff as usual and twisting is hardly possible. The dimensions of 26.2 x 17.8 x 2.5 - 3.6 centimeters (w x d x h) have been maintained, but the weight has increased slightly. The device weighs 1.29 kilograms with inserted battery and is thus within an acceptable range. Surprisingly, the included adapter is very compact and has lost a bit of its weight. Asus uses the advantage of the AMD components and extends the connectivity. The power socket for the included adapter, a VGA out for older monitors or projectors, a USB 2.0 port and a modern HDMI port are found on the left. 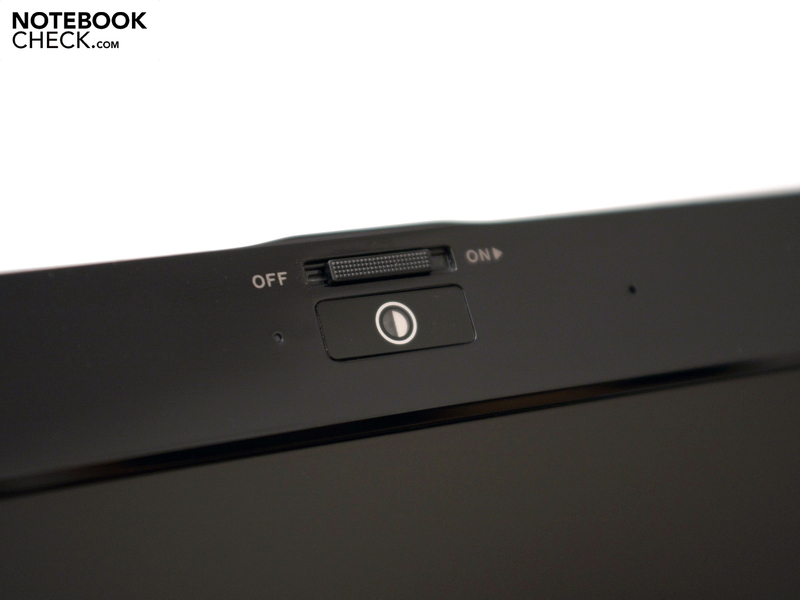 A modern TV set or AV receiver can be connected via the HDMI port, which many Intel netbook users dream of. Both video material (1080p is supported) as well as audio signals are transmitted via one cable. On the right, the typical 3-in-1 cardreader (SC, SDHC, MMC), the audio sockets, two further USB ports, the Kensington Lock and the RJ-45 network socket are found. A USB 3.0 port would have been a desired highlight. The front's low construction height and the large 6 cell battery on the rear don't allow for any further interfaces or functions. The status LEDs are still on the case's front right. Asus has done a good job with the port distribution. This is especially due to the ratio of amount of interfaces to available space. 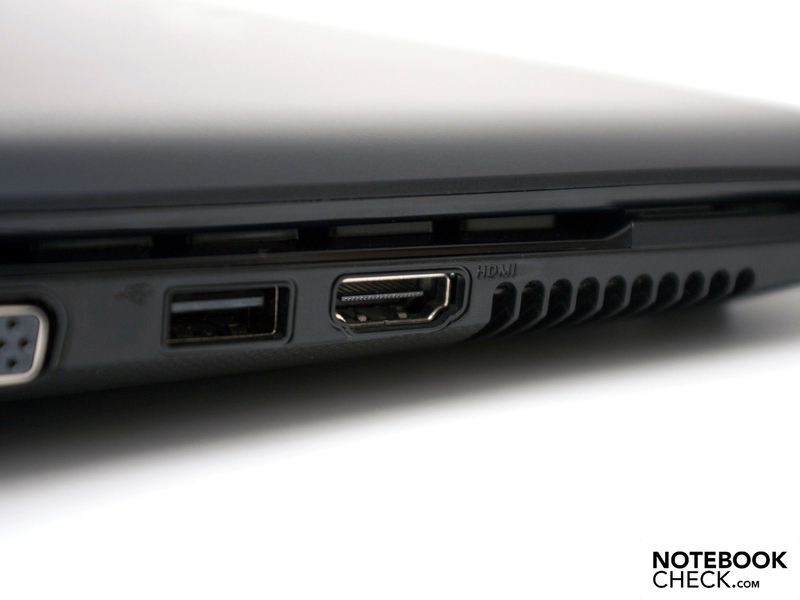 The HDMI out is a major advantage, but a USB 3.0 port would have made the extent perfect. The communication configuration is extensive. 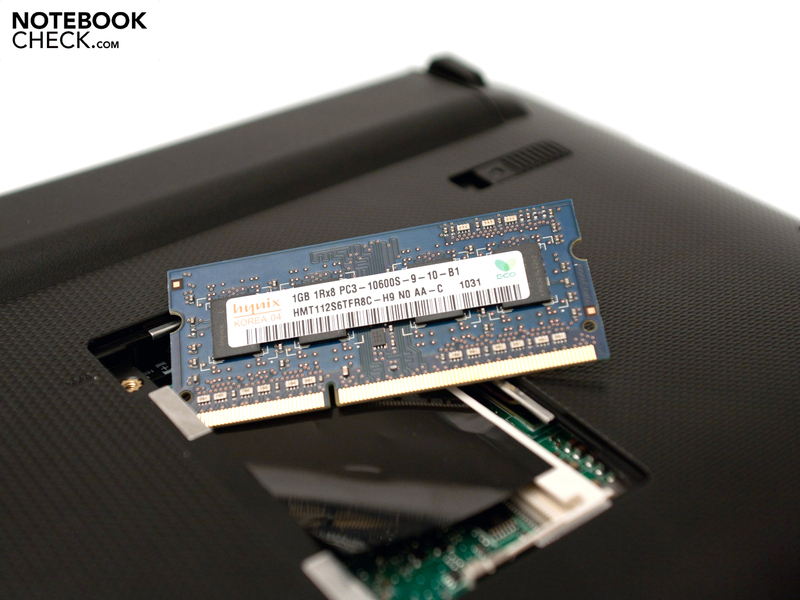 Aside from a Gigabit Ethernet (Atheros AR8152), the notebook has fast, standard 802.11n wireless LAN via a controller from Broadcom and data transmission via the latest Bluetooth 3.0 + HS. There is hardly anything left to be desired with this configuration. The dummy slot for a SIM card is available due to the standardized case for every Eee PC 1015 model. An Asus Eee PC 1015T offspring with a UMTS module hasn't yet been introduced. The scope of delivery is sparse. 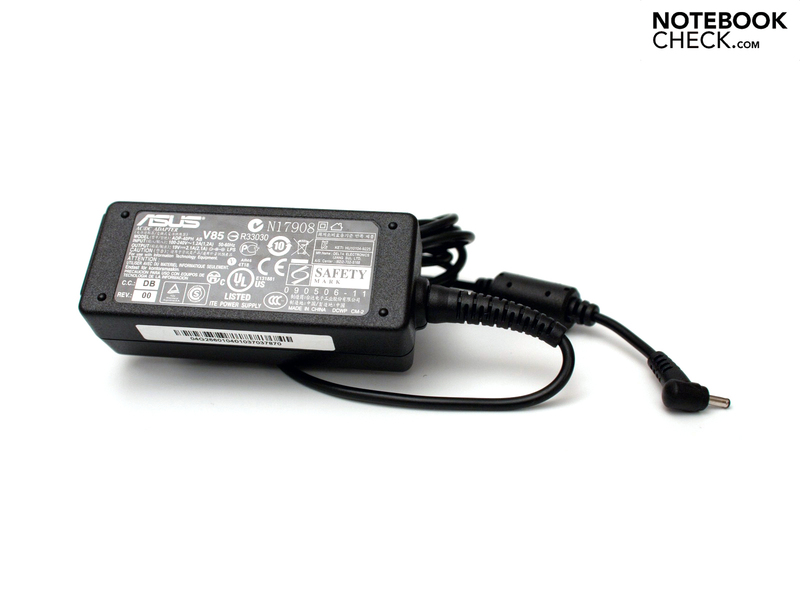 The matching adapter with power cable, a warranty card and various manuals are found beside the netbook. You don't receive a software DVD with tools and drivers with this device. Nor are additional goodies (case, mouse, etc.) included. These extras have to be bought separately. 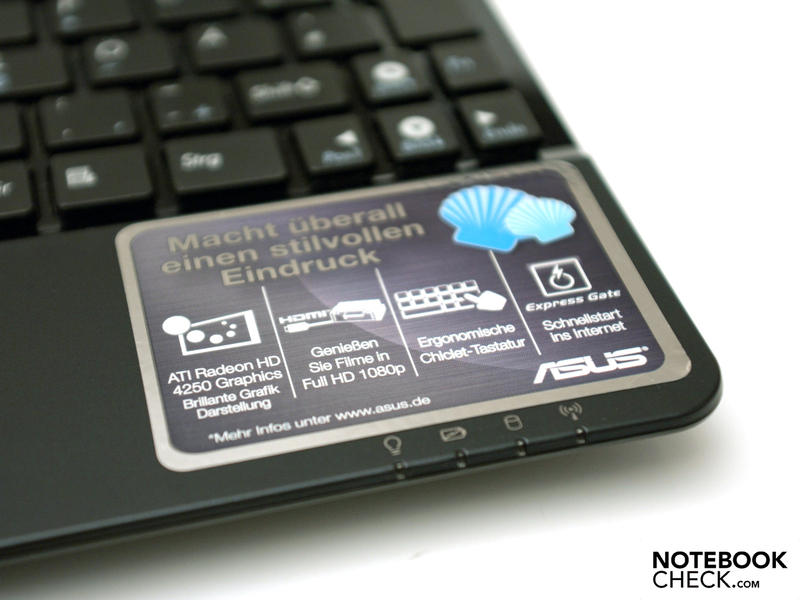 Beside the design, Asus has also kept the tried and proven chiclet keyboard and touchpad. The layout complies with the German standard and the key size of 14 x 14 millimeters is sufficiently sized. The pressure point and keys' stroke length are pleasant. However, the small shift keys affect the ergonomics. Leaving out the second FN key on the right would have created room for a large shift key. 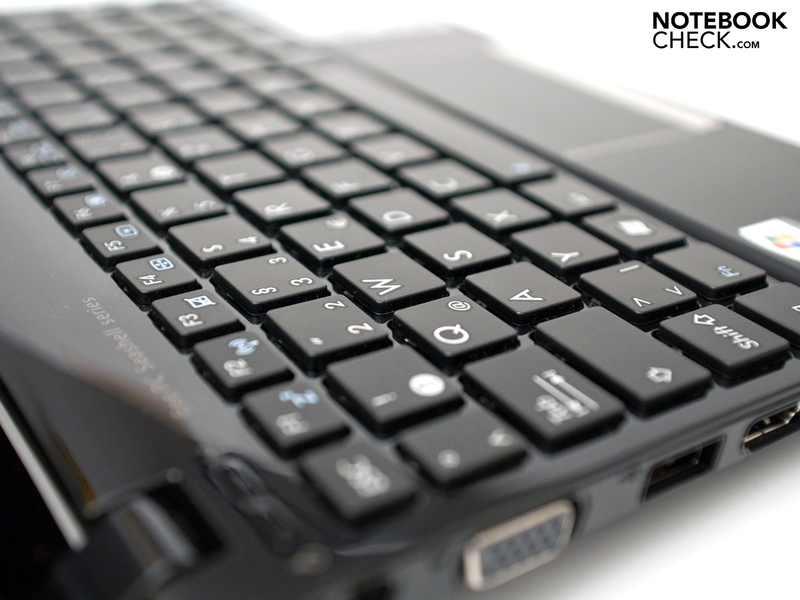 The keyboard's FN functions are clearly marked by light blue symbols. 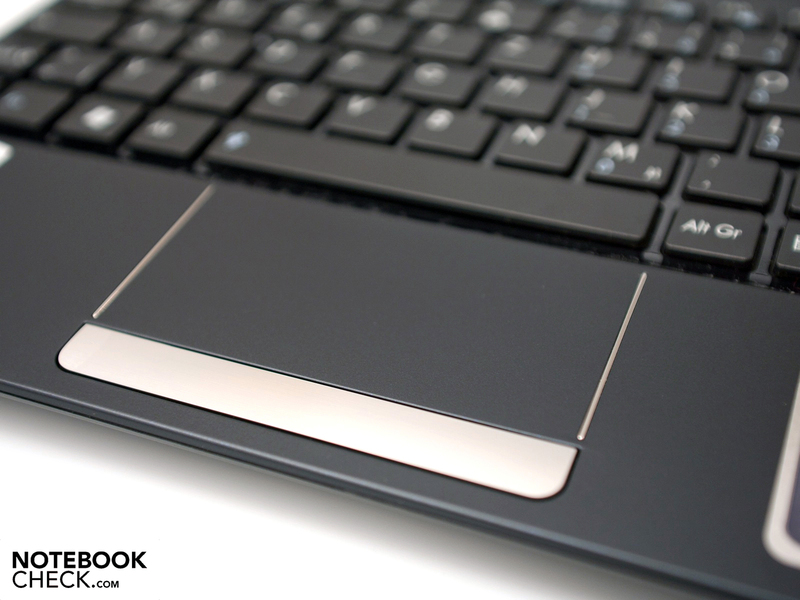 The touchpad's surface is also covered in a matt coating, which conveys a velvety feel. The useable diagonal is still a generous 8.7 centimeters, whereby separate scrolling fields don't exist. 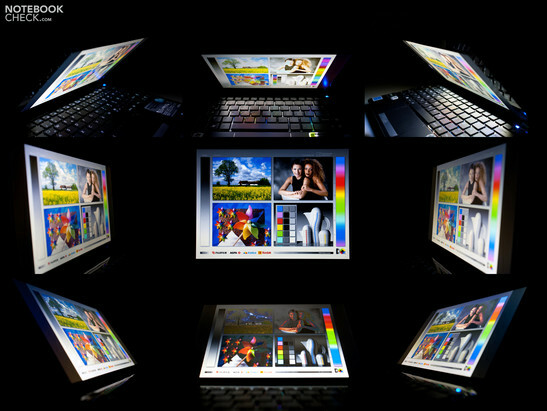 The use is considerably simplified due to multi-touch support. The touchpad's settings options and the multi-touch gestures' functionality are good. The mouse replacement keys are hidden in a large control bar. The pressure point is agreeable, but the key noise varies depending on the fingers placement. Asus sticks to the Eee PC 1015 line and still relies on a matt 10.1 inch display. However, the screen (type: HSD03E9) doesn't have an interpolated (higher) resolution. Thus, there are only the standard resolutions of 800x600 and 1024x600 pixels (native) available. Asus doesn't offer an optional display with a native resolution of 1366x768 pixels. The entire display surface is illuminated by small LEDs. 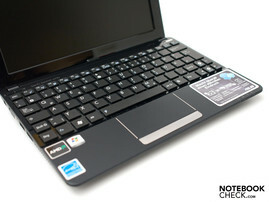 They provide good brightness rates in the upper third of netbooks tested by us. However, a strong brightness decline of about 40 cd/m2 is noticed in the lower display third. This difference is fortunately not visible to the eye. The maximum brightness (256 cd/m2) and the average of all rates (234.2 cd/m2) are good preconditions for outdoor use. The brightness distribution of the entire surface (79 percent) turns out average due to the great fluctuation. A black value of 0.25 cd/m2 makes a good black reproduction possible and the resulting contrast (1004:1) is a major plus for the display and outdoor use. The focus and color range look subjectively convincing. The good display rates allow outdoor use. Direct light, or rather sunlight, aren't a problem and the content remains legible. Nevertheless, the displayed colors noticeable lose brilliance. A shady place would be perfect because you hardly notice a difference to interiors. Basically, it's a good solution for mobile use, although the reflective display bezel is irritating. The viewing angle stability is average. The horizontal stability is stable up to narrow angles and there are no color falsifications. In return, vertical movements of the user show a less stable display. Colors deviate already at about 20 to 30 degrees and the image increasingly looks like a negative. AMD has started a counterattack on the wide mass of Intel netbooks. The heart in the Asus Eee PC 1015T is a AMD V105 that works with a clock rate of 1.2 GHz in one computer core. Thus, it's actually a bit slower than comparable processors from Intel. This configuration's major advantage could be the dedicated ATI Radeon HD 4250-graphics unit. The core rate is 500 MHz and thus 150 percent higher than that of the Intel GMA 3150 (core rate: 200 MHz). The other hardware corresponds to today's usual standard. Beside a 2.5 inch hard disk with a memory capacity of 250 GB from Western Digital, the device is equipped with a 1 GB DDR3 10600S RAM. The components' extendability is limited by the case. Merely the RAM can be upgraded to a maximum of 2 GBs. This upgrade is also recommendable for this device because Windows 7 and running applications could quickly overload the little bar. The incorporated mass memory medium can only be replaced inconveniently, or rather not at all. The application performance of this configuration, measured with various benchmarks, is convincing. 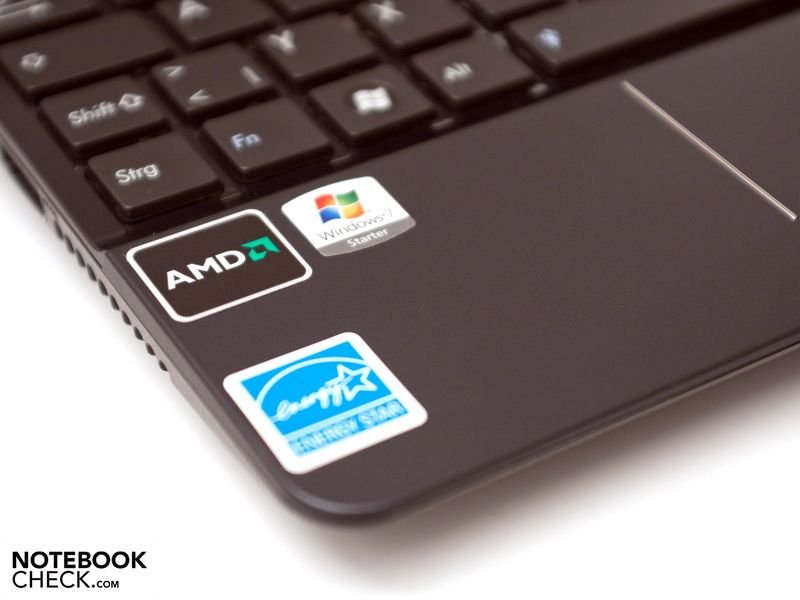 The netbook achieves 1360 points in the overall rating in the latest PCMark Vantage. Thus it only lags slightly behind devices with Nvidia's ION 2 or ATI Radeon HD 3200 graphics unit. The benchmarks results are very close in this field, but the subjective performance under Windows 7 with a 1 GB RAM is impressive. Window setup and booting times are good and vexatious waiting times weren't noticed. 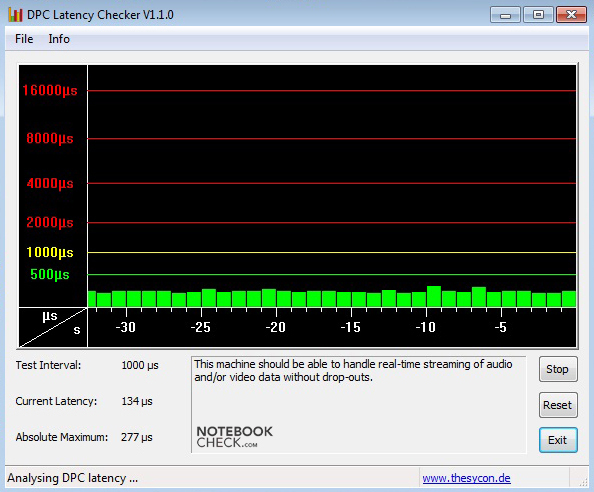 The Eee PC 1015T appears to have a hard time with 3D applications and especially with Futuremark's benchmarks. They can't be executed at all or only with an error message (3DMark Vantage), which indicates incompatible drivers. Merely 3DMark 2001 SE! could be started without problems. The result of 8689 points is not overwhelming, but considerably better than results with Intel's GMA 3150 graphics unit. The 3D performance is sufficient for older games in a low resolution and low details. Current games are a taboo for this device. Asus uses 2.5 inch hard disk from Western Digital for the memory medium. The Scorpio Blue (type: WD2500BEVT-80A23T0) works with 5400 revolutions per minute and has a gross capacity of 250 GB. 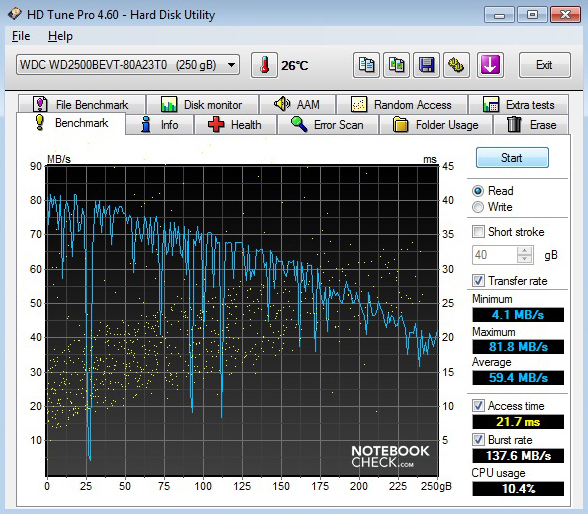 Rates rendered by HDTune Pro certify the HDD an adequate performance. 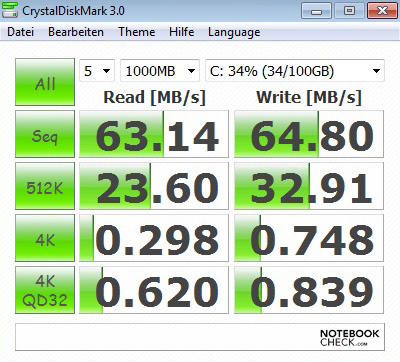 This drive supplies enough performance for everyday with a maximum transfer rate of 81.9 MB per second (read mode). 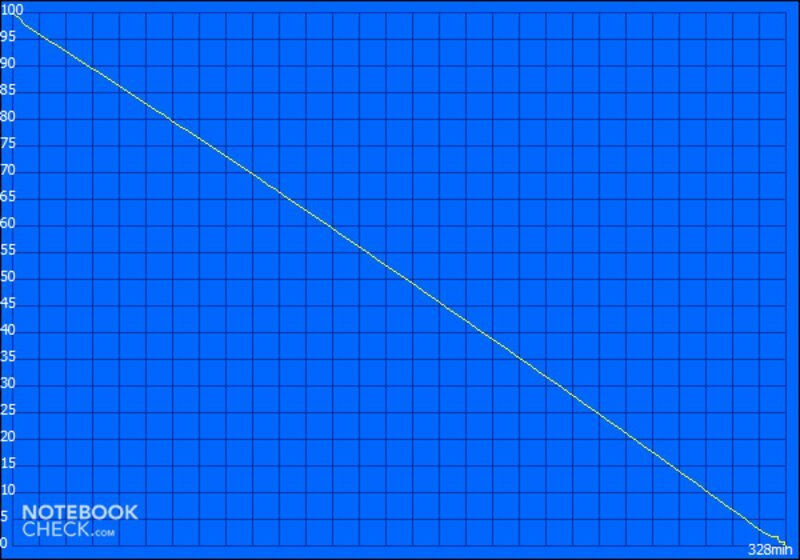 CrystalDiskMark verifies this result, whereas the rates turn out a bit lower. 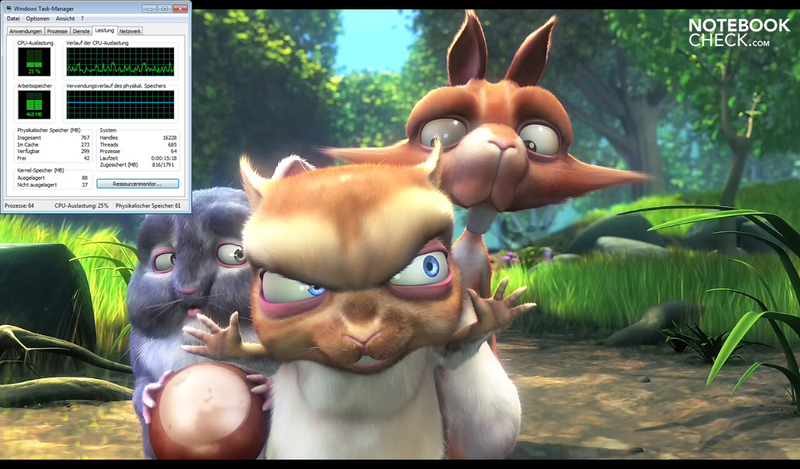 Rendering HD videos is not possible for most netbook users. 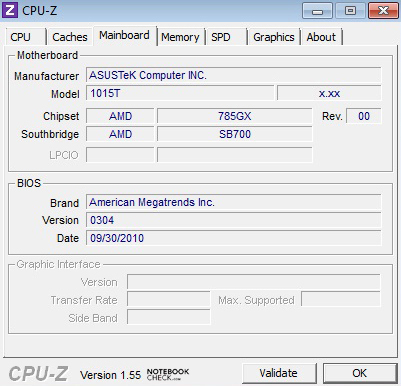 In this case, the Asus Eee PC 1015T benefits from the strong graphics unit. 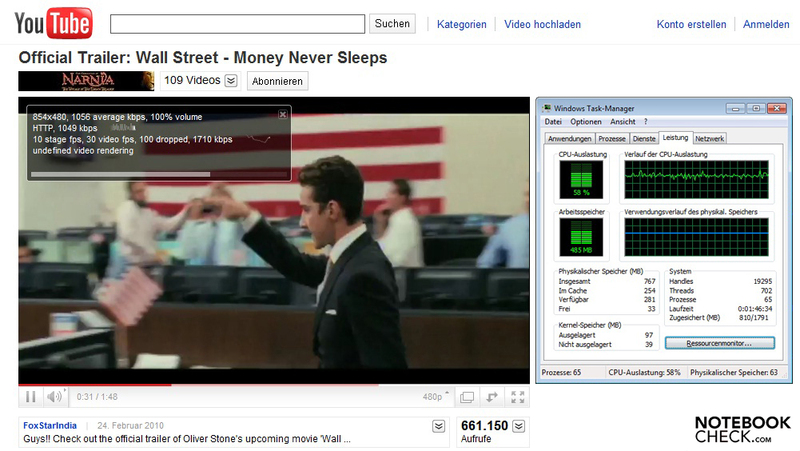 We have looked at both the trailer from "Wall Street - Money Never Sleeps" on YouTube and local HD rendering with a H.264 video. Playing a normal SD video (854x480/1056 Kbps) and a 720p variant (1280x720/1056 Kbps) via YouTube run without problems, although the processor capacity is at 58, respectively 82 percent. Even a 1080p video (1920x1080/1056 kps) runs smoothly with the occasional picture freeze. Video in a low resolution run at constant 30 fps smoothly. The trailer runs smoothly in 1080p most of the time. However a frame rate of 18 fps on average isn't optimal. The image freezes slightly in irregular intervals and a consistently smooth rendering on the internet isn't possible. 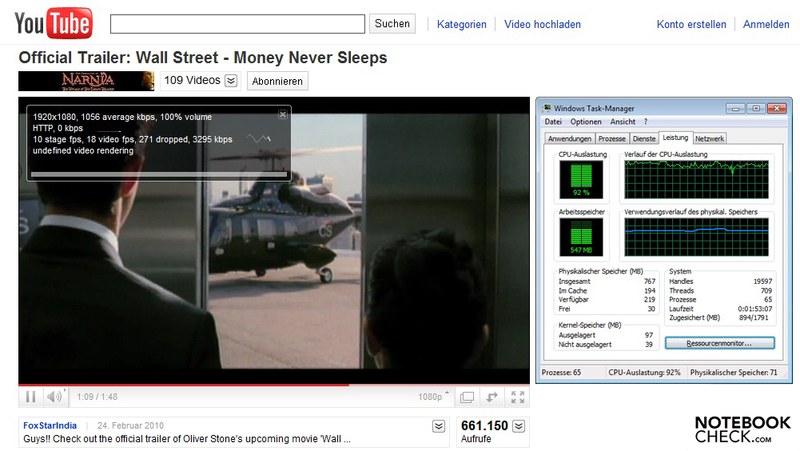 Local playing of a H.264 HD video is apparently easy for the built in components. 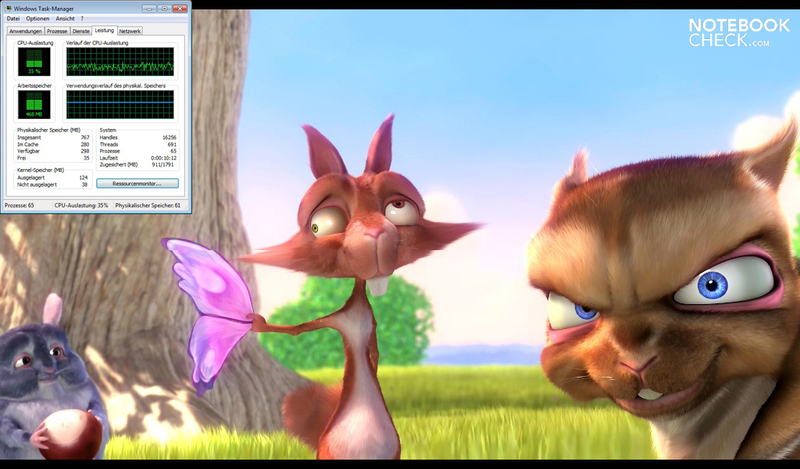 "Big Buck Bunny" runs smoothly in all three resolutions and the CPU capacity is at 25 percent maximum (average rate). Overall a convincing performance that leaves most Intel netbooks flabbergasted. Merely the 10.1 inch screen with a low resolution of 1024x600 pixels dims the HD enjoyment. The performance in older and even current games have improved slightly in comparison to the GMA 3150, but it's still not a real pleasure. TrackMania Nations Forever (55 fps) and World of Warcraft (31 fps) can be played smoothly in minimum details with the dedicated ATI Radeon HD 4250. However, the low resolution and poor detail reproduction leaves something to be desired. The new Starcraft II - Wings of Liberty doesn't run smoothly with an average of 14 fps. The demo of FIFA 11 already struggles with various problems in the menu view and not much more than a slide show is possible (less than 2 fps). It becomes clear in this field that the GPU's advantage is reduced to HD rendering and the gaming performance remains limited. Stronger hardware needs a good cooling element that is supported by a fan. The fan runs occasionally during ideal use (office, internet) and the noise level moves in a good lower third. The maximum rate of 33.7 dB(A) is within limits and doesn't show any irregularities. The integrated 2.5 inch memory medium also runs quietly with 31.5 dB(A) and there are no vibrations. The assessed rates increase considerably under load and the Eee PC 1015T pushes itself into the foreground. The maximum rate is at a constant 41.3 dB(A) and the device is very audible in quiet surroundings. We can measure a maximum of 40.4 degrees Celsius during use without load. This rate climbs minimally to 41.8 degrees Celsius under load. Overall, you can feel the heating on the bottom and can thus become uncomfortable on the lap in the long run. The included adapter is also striking. It is very compact and appears to be a bit overburdened with the hardware's energy appetite, at least in the stress test. The maximum operating temperature is a high 64.2 degrees Celsius on the exterior. (+) In idle usage, the average temperature for the upper side is 30.8 °C / 87 F, compared to the device average of 29.8 °C / 86 F.
(-) The average temperature of the palmrest area of similar devices was 29.3 °C / 84.7 F (-2.4 °C / -4.4 F). Audio rendering is taken care of by two loudspeakers. The position on the cases front bottom and the moderate sound quality haven't changed. The high pitches are too evident and basses, as well as low pitches, are missing. 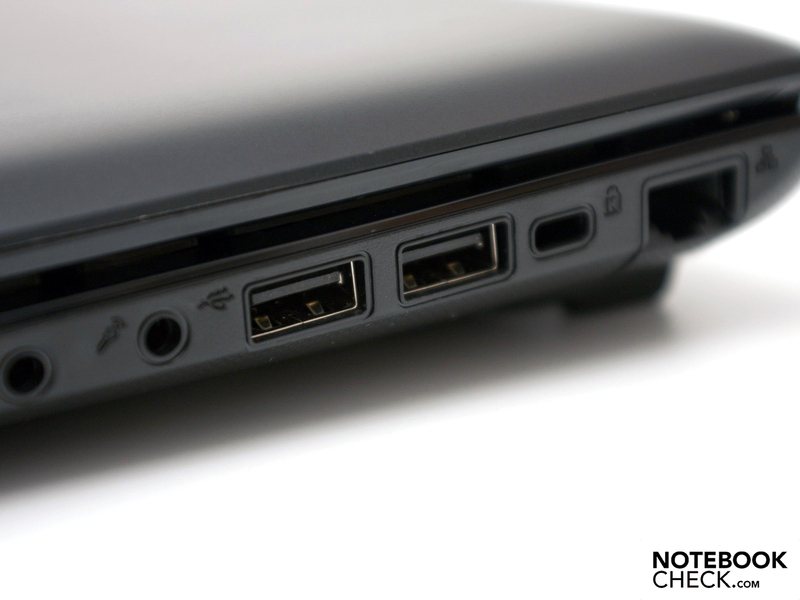 The netbook has both the standard 3.5 millimeter jack as well as a modern HDMI out. The latter transmits sound beside the video signal for an enhanced audio pleasure. Both interfaces are convincing in the audio rendering field. This allows connecting a modern AV receiver of the home cinema system beside the sound system. The hardware's power consumption increases proportionally to the additional performance. 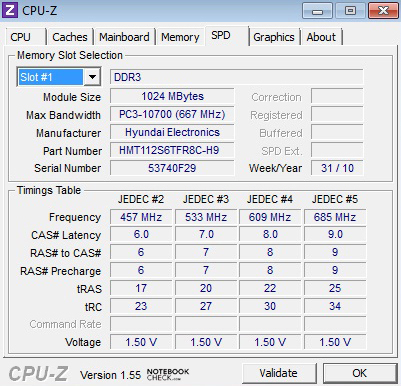 The incorporated AMD V105 processor needs 9 watts (TDP) without the graphics unit. In return, a comparable Intel Atom N455 with an Intel GMA 3150 graphics only needs 5.5 watts (TDP) and is thus much more economical. Another consumer in the system that shouldn't be forgotten is the dedicated ATI Radeon HD 4250 graphics unit. The test device needs between 11.0 and 14.6 watts in normal use. These rates increase to a maximum of 26.4 watts under full load and the Eee PC can compete with larger subnotebooks. 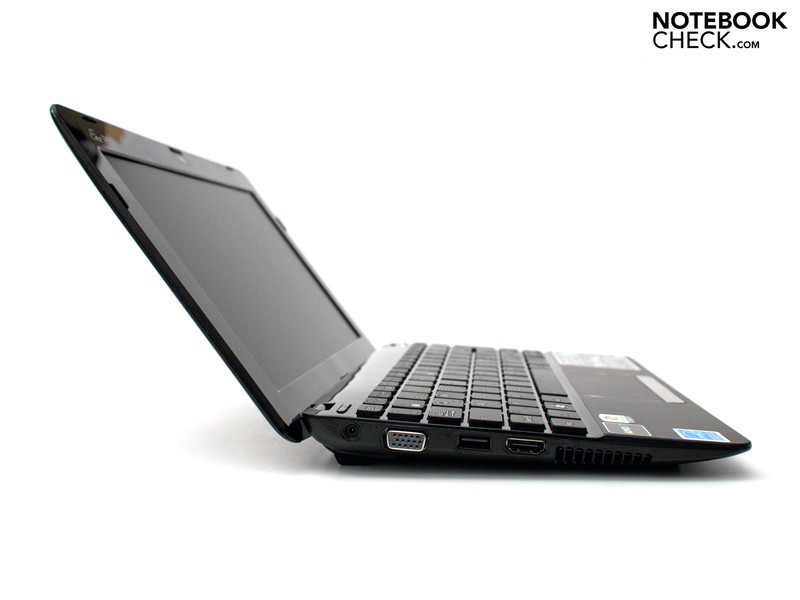 Comparable Intel netbooks are considerably more economical. 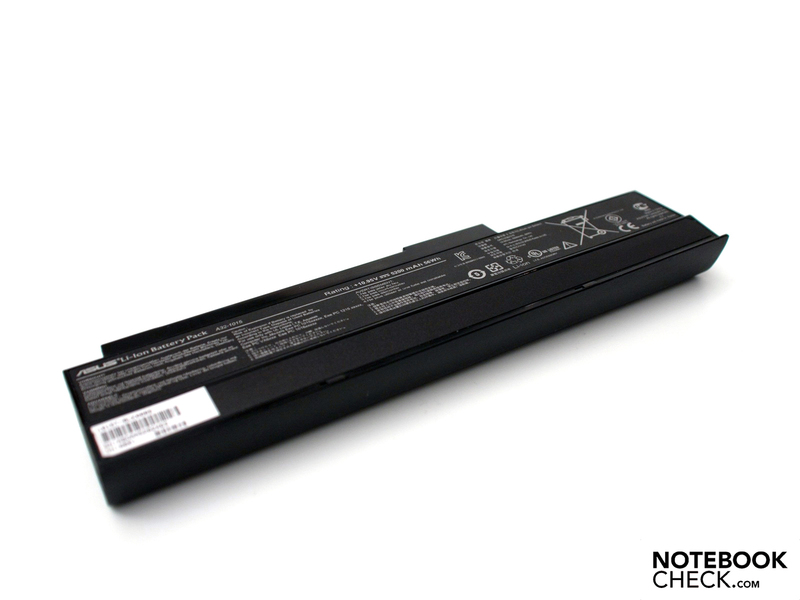 It reduces the battery runtimes of AMD netbooks. 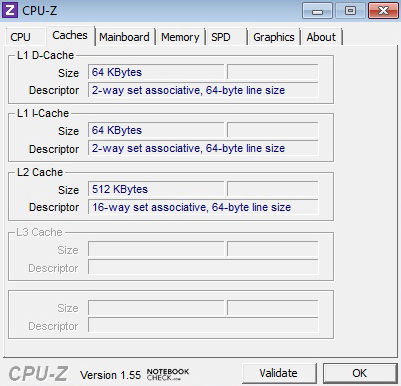 The "Classic Test" from BatteryEater (tool) simulates the hardware load without energy saving functions. Additionally, the maximum display brightness, as well as Windows 7's high performance profile is selected and the mobile technologies are enabled. The "Super Performance Mode" is activated in Asus' Super Hybrid Engine, which actually doesn't generate any performance increase. The battery charge is drained after a poor 2 hours and 42 minutes and you have to connect it to the mains. Internet surfing and answering emails is usually the targeted application field. 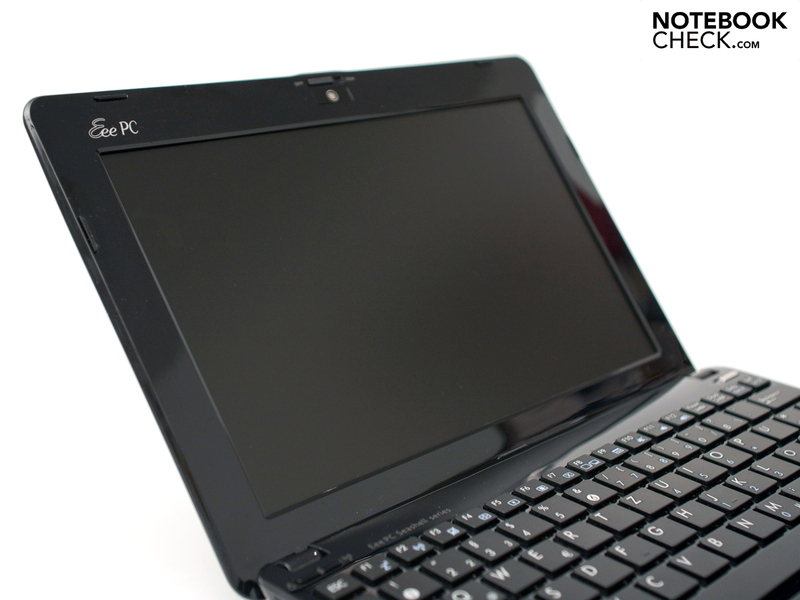 The netbook provides a runtime of 3 hours and 31 minutes with a good display brightness. The new Asus Eee PC 1015PEM with Intel's Atom N550 dual core processor supplies (almost) twice as much runtime in this field. Even the maximum battery life with minimum hardware load turns out poor. The "BatteryEater Reader's Test" is executed with minimum display brightness, disabled mobile technologies and all energy saving options on. The upper limit of battery life is reached after 5 hours and 28 minutes and the battery has to be recharged. The dedicated graphics unit is a major reason that the AMD netbook can't keep up with the latest Intel devices. 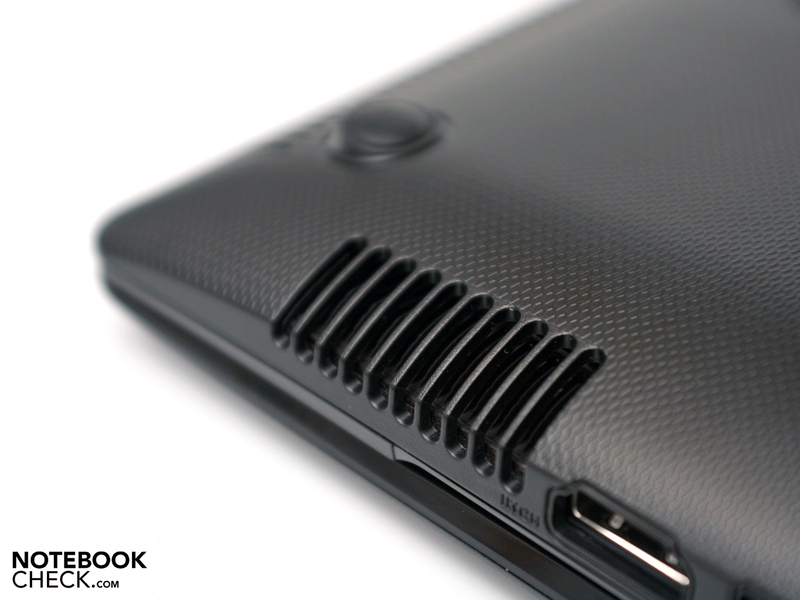 You'll have to make a compromise of performance and battery life. 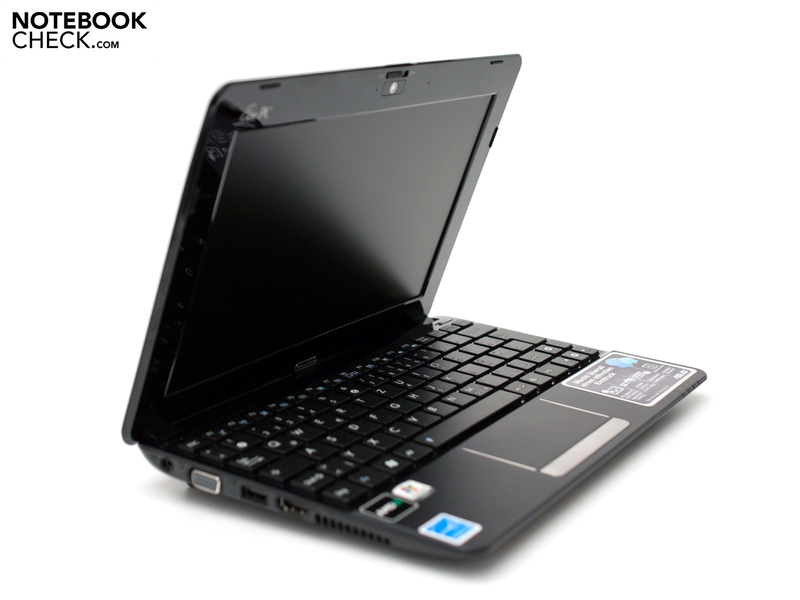 The Asus Eee PC 1015T, as the first 10 inch netbook with AMD components from Asus, leaves us with mixed feelings. The workmanship, design and inputs are still bonus points. The modern HDMI port and extensive communication options are also pleasing. The innards have been reorganized and an AMD V105 single core processor (1.2 GHz) including a dedicated ATI Radeon HD 4250 graphics do their job. 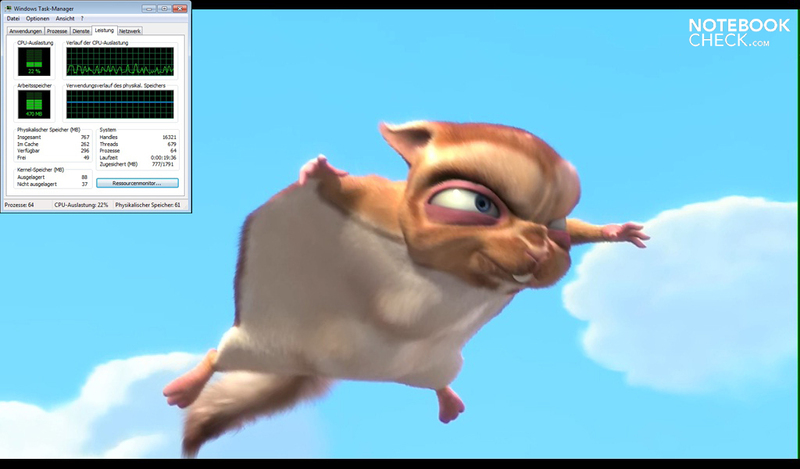 The increase in performance is especially noticed in everyday use, as well as in rendering HD videos. The increased emissions and the moderate stereo loudspeakers on the case's bottom are drawbacks. Asus displays straightforwardness in regards to the screen and still offers a matt 10.1 inch screen with a native resolution of 1024x600 pixels. An optional HD display with comparatively good rates would be desirable in the future. The higher performance has a negative impact on the battery life. This netbook isn't competitive with a maximum of 5 hours and 28 minutes and Intel's weaker devices clearly have a lead. 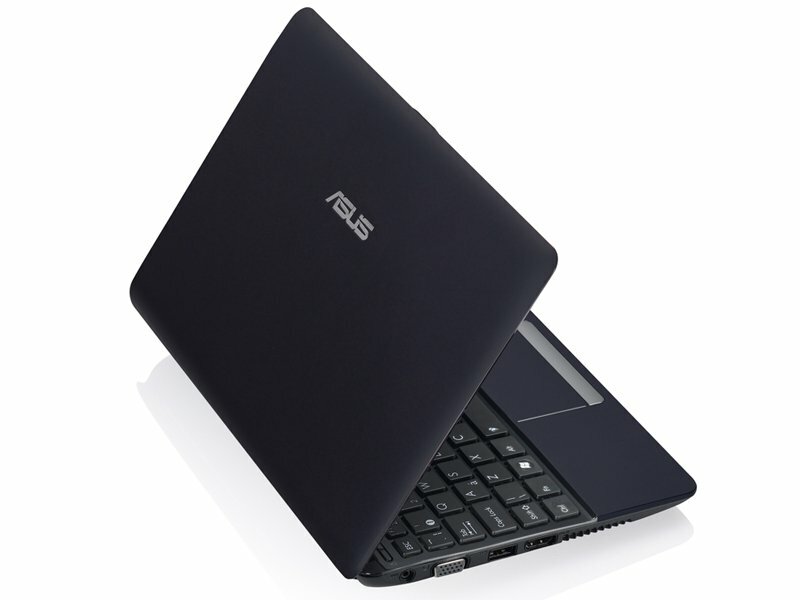 The Asus Eee PC 1015T will be available at German and Austrian retailers at the end of October 2010. Spoilt for choice: The device is available in four colors and two finishings. 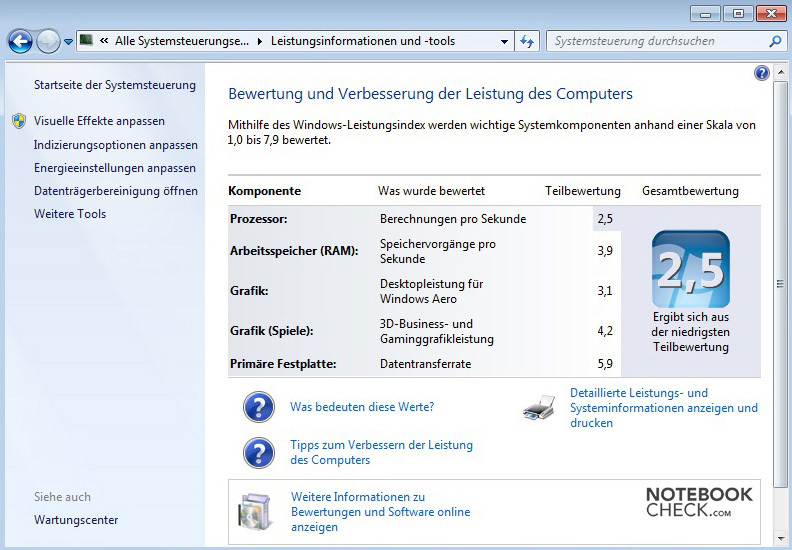 The recommended retail price for the AMD netbook is 349 euro including sales tax. 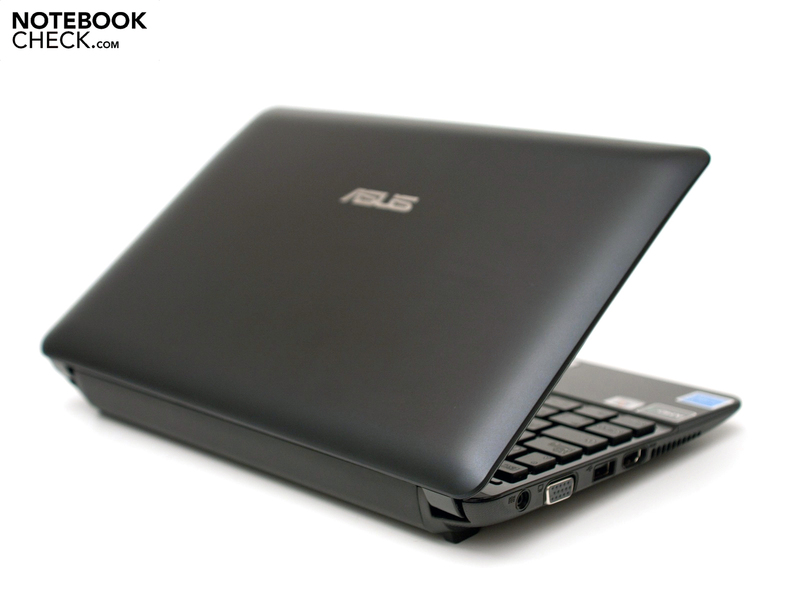 The Asus Eee PC 1015T is yet another offspring of the successful netbook. A 6 cell battery (55 Wh) is supposed to counter the energy appetite. 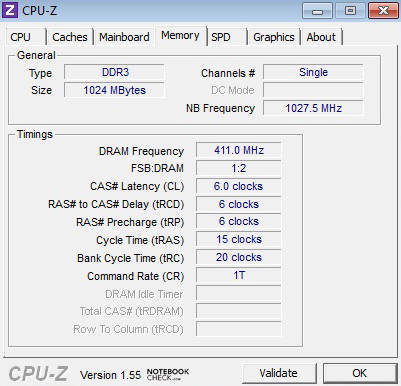 2 GB of DDR3 10600S RAM is the upper limit of possibilities. The extendability is limited by a small service cover. 0.3 mega pixels are sufficient for simple video telephony without high quality. The display hinges restrict the opening angle (140 degrees). The matt 10.1 inch screen is impressive, but it only supplies the standard 1024x600 pixels. ...the generous touchpad with multi-touch are still convincing. The vents turn out small as usual and the air is trapped. The stereo loudspeakers' quality isn't convincing. A USB 3.0 port on the right would be perfect. The HDMI port opens new possibilities. Intel netbooks lag behind. The workmanship and finish are impressive. There has been no change to the familiar design. 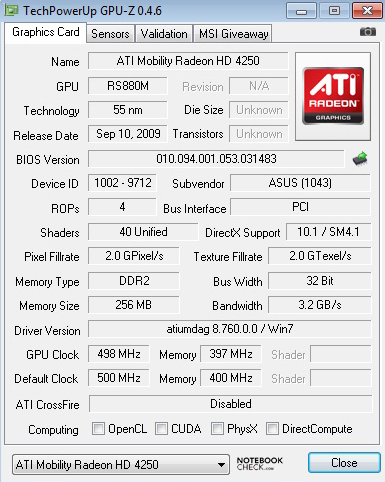 ... a dedicated ATI Radeon HD 4250 with DirectX 10.1 support works inside. New hardware based on AMD in a familiar seashell dress. The adapter is very compact and appears to be slightly overburdened. The modern seashell case, the workmanship, HDMI, the given increase in performance and the matt 10 inch display. The good performance in office use despite the single core processor of 1.2 GHz.